Are the bills piling up and do you feel overwhelmed and just don’t know where to start to get out from under your debt? It’s so easy to just put the envelopes in the draw and forget about them until you are lying in bed at 3am. Here is a way to get control of your debt and start to pay it off. You will sleep better knowing that you have a plan. 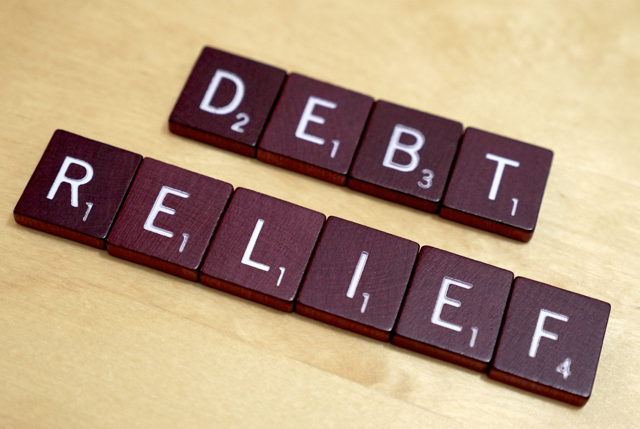 With a bit of determination and a plan in place, you can become debt free. There are two ways to approach paying off debt. a. List all of your debts by the name of the loan, the amount owed and the interest rate you are paying. b. Pay the minimum balance on all of the loans except the one with the highest interest rate and with that one pay off the minimum plus whatever else you can. Hit it hard and get it paid off. This method will save you money in interest. a. List all of your debts smallest to largest by the amount owed. Do not worry about the interest rate; just the balance owed. b. Pay the minimum payment on all of the loans except the one with the lowest balance and then payoff that debt the hardest. Find every penny that you can to throw at that debt. You want that debt banished forever. In both cases once that first debt that you are paying down hard is paid off take the money that you were using to pay that balance off and put it towards the debt with the next lowest balance. (Continue making the minimum payments on the other debts.) Once the next debt is paid off, take the combined payments and go on to the next debt hitting it with all of that extra money. Pay them off one by one starting with the highest interest rate or the smallest balance. Soon you will feel the momentum and it will get easier and easier. Now you are going to do it again and take the £300 that would have going to the department store debt and take that and the £63 for a total of £363 and put that towards the major credit card. On a roll now! In less than six months the second credit card will be paid off. Next it is the personal loan and then the car loan which will be paid down by £475 (300+63+112) each month. Just keep the processing rolling along and within two years you will be debt free. No more credit card debt, no more personal loan and you own the car. What an incredible feeling! The joy of the snowball debt repayment method is that you feel your efforts more quickly. That small debt is paid off right away and that feels good so you will keep motivated to continue the process with the other debt. When you see that it is working, you will stick with it! The repayment has “snowballed” and you reach your goal more quickly. If you would like to learn more about planning for a secure financial future, contact me at Julie@JulieTheMoneyCoach.com for free 30 minute discovery call to see how I can help. Written by Julie R. Feuerborn. Speaker, author, blogger, wife and coach.